The clinic here holds exercise classes 5 days of the week and I go a lot.. 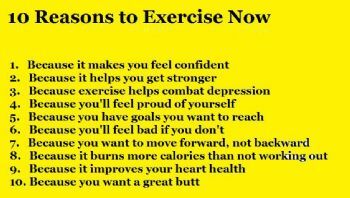 I love to exercise. Do it five days a week in the early morning.